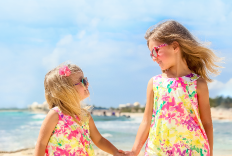 Velas Resort offers exciting family vacation packages – from dolphin and whale watching encounters to jungle zip line and snorkeling adventures. Discover a Riviera Maya scuba diving vacation in one of the world's top dive spots. Play golf on the most spectacular courses in Puerto Vallarta. 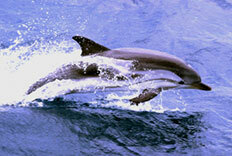 Swim with dolphins in the warm waters of Banderas Bay, or rejuvenate body and soul with our incredible spa packages. Our all-inclusive Mexico resort specials feature luxurious suites, dining, beverages, entertainment, family activities and beautiful beaches where you can soak up the sand, sea and surf. Enjoy a unique summer in the amazing Mexican Caribbean! 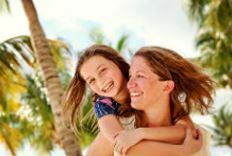 Visit with your family the All-Inclusive resort, Grand Velas Riviera Maya and experience the best summer vacations. 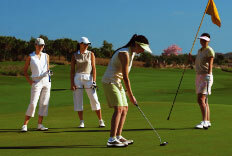 Perfect your golf game with a relaxing golf vacation in Riviera Maya, Mexico. Located on the magnificent Riviera Maya of Mexico, Grand Velas is close to the renowned 18-hole golf courses in Playa del Carmen and the Riviera Maya. The Riviera Maya Swim With Dolphins Package includes luxurious accommodations in our Zen Grand Suite surrounded by lush jungle vegetation, an unforgettable swimming with dolphins adventure on the Riviera Maya, plus gourmet a la a carte and buffet-style breakfast, lunch and dinner at our spectacular Riviera Maya resort. 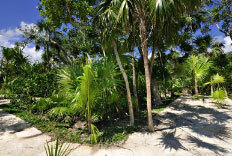 A tour of the Riviera Maya jungle is an exciting adventure for your senses. 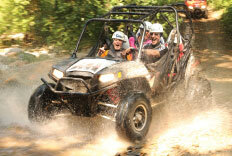 Zip across jungle paths on ATVs or swim through deep underwater caverns in a secluded Mayan world. Riviera Maya jungle is home to one of the longest explored underground river systems in the world! Our Concierge is happy to arrange your Riviera Maya jungle tours. 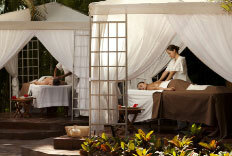 Recharge and invigorate your senses with a holistic spa vacation on the secluded beaches of Riviera Maya. Your journey to bliss begins with a luxury Spa Package offered by the Grand Velas Riviera Maya. A deluxe vacation package featuring our signature spa treatments is sure to soothe tired bodies and center busy minds. Enjoy of an amazing experience in Riviera Maya! 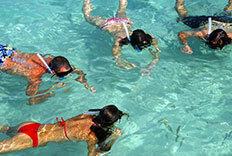 This is the perfect package for mom or dad to relax while the kids enjoy of a thrilling adventure in paradise. 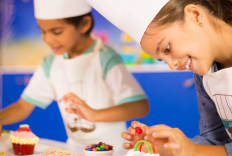 Our Kids Club will take care of your little ones; meanwhile you can unwind your spirit in our World Class Spa. Snorkeling in the crystal-clear Caribbean waters of the Riviera Maya is an unforgettable adventure where coral reefs teem with neon marine life. Experience the serene beauty of the underwater worlds that surround Grand Velas Riviera Maya. Ready for an unforgettable summer vacation? 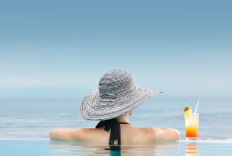 Relax in the calm waters of the Mexican Pacific and enjoy with your family all the summer activities that the All-Inclusive Luxury resort Grand Velas Riviera Nayarit has to offer you. 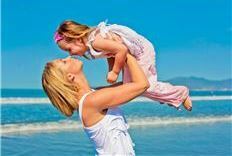 Get away for an all-inclusive family vacation in Puerto Vallarta, Mexico, that brings joy and pleasure to kids and adults. 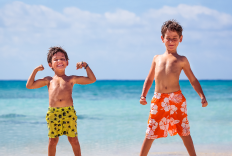 Feel inspired, challenged and relaxed with our Puerto Vallarta family vacation package and give your family the gift of play. Escape to Puerto Vallarta for a golf getaway. Play the championship golf courses in Puerto Vallarta Mexico, including Marina Vallarta Golf Club and the two beautiful golf courses at Vista Vallarta Golf Club designed by Jack Nicklaus and Tom Weiskopf. An unforgettable eco-tourism expereience: ziplines, flying over waterfalls, free falls and much more. The perfect adventure for pampering adventure-loving family members. Explore the natural scenery of the Southern Coast of the Bay of Banderas and glide through the waters of the Mexican Pacific on an unforgettable adventure. Experience a luxurious spa vacation in Puerto Vallarta, Mexico. Discover paradise at the Grand Velas Riviera Nayarit, in beautiful spa resort in Puerto Vallarta with one of the Leading Spa of the World. Stress melts away as you enjoy rejuvenating spa treatments, holistic massage, gourmet dining and ocean views that soothe your senses. 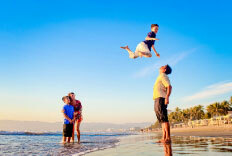 This family-friendly resort offers a summer of fun in Puerto Vallarta. Experience the world's friendliest city, plan your family vacation and collect unforgettable memories. 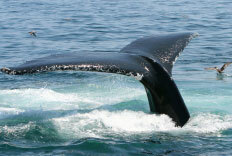 Discover natural adventure in Puerto Vallarta - from water sports to snorkeling. Boat through Banderas Bay to Las Celetas and enjoy the ultimate diving and snorkeling adventure, or zip through the forest on a canopy tour. In Puerto Vallarta, life is an adventure. Experience the natural wonders and wildlife of Puerto Vallarta on amazing adventures - from swimming with dolphins in Banderas Bay to whale watching tours. 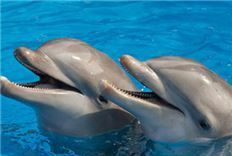 Swimming with the playful dolphins of Puerto Vallarta is an unforgettable experience. Delight in the tranquility and beauty of our Puerto Vallarta, Mexico spa resort. 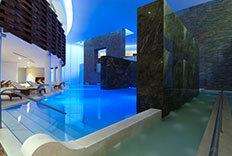 Experience an oasis of relaxation that revitalizes your body, mind and spirit. Enjoy a balancing and healing massage or a rejuvenating facial treatment that will soothe your senses with therapeutic aromas, oils and ancient techniques. 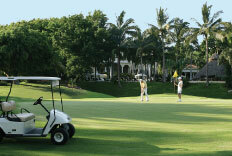 Tee off in paradise in Puerto Vallarta, Mexico, with our Puerto Vallarta Golf Package. Our breathtaking resort is minutes from Puerto Vallarta's top golf courses - Marina Vallarta Golf Club and Vista Vallarta Golf Club. Experience a Puerto Vallarta resort where golf is at the heart of your vacation! Experience romantic Puerto Vallarta in one of the most exclusive hotels in the city. Casa Velas is the perfect sanctuary to relax and reconnect with your partner. Experience an unforgettable summer at this adults-only resort. Surrounded by the beautiful Marina Vallarta Golf Club, and 15 minutes from the Vista Vallarta Golf Club, Casa Velas is the perfect destination in Puerto Vallarta, Mexico for a relaxing golf vacation. 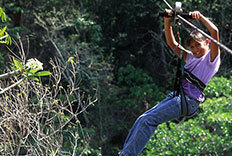 Experience an adrenaline-flowing adventure with a Puerto Vallarta canopy tour through Mexico's tropical rain forest. Soar 250 feet above the canopy of trees and palms along zip lines and cables, crossing hanging bridges and rappelling to the forest floor. Experience the best Spa vacation in Puerto Vallarta. Casa Velas offers you an unprecedented all-inclusive Spa package that allows you to enjoy the best of our Spa in paradise. Every day is a new day, as you select your ritual including facials, body treatments, massages and hydrotherapy. Experience the wonders of Banderas Bay and the stunning jungle and mountains surrounding Puerto Vallarta, Mexico.